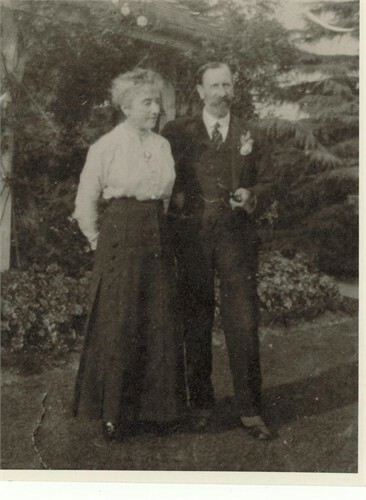 [PE] James Norgrove Thurley and wife Louisa Jane Bailey. [PE] Louisa Jane Thurley (nee Bailey). 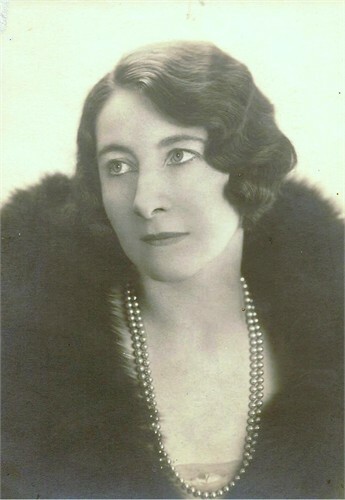 Residence He lived at Mount View Cliff End in Purley, Surrey, EnglandBG, just prior to his death. 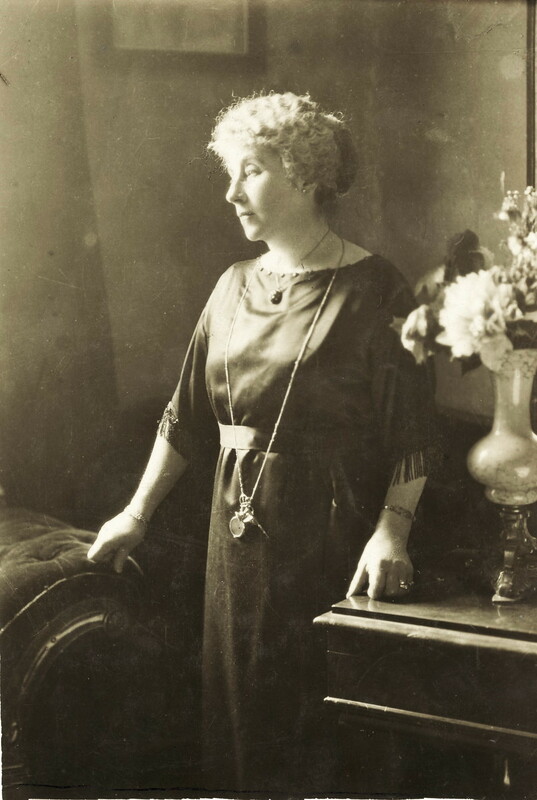 Probate (Admin of) Administration of Albert Edwin Norgrove Thurley's estate was granted to his widow, Marie Victoria Thurley, on 21 December 1929 in London, EnglandBG. 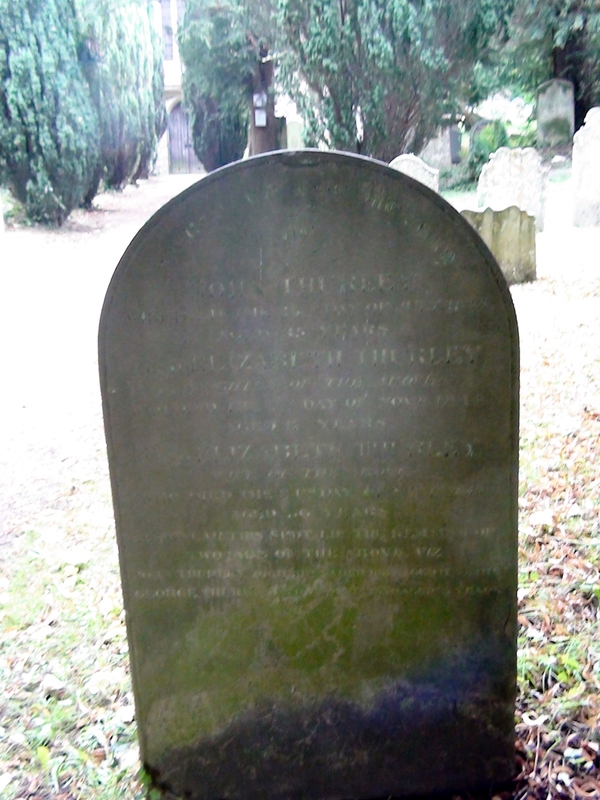 [GS] Gravestone of John Thurley (married Elizabeth Norgrove). 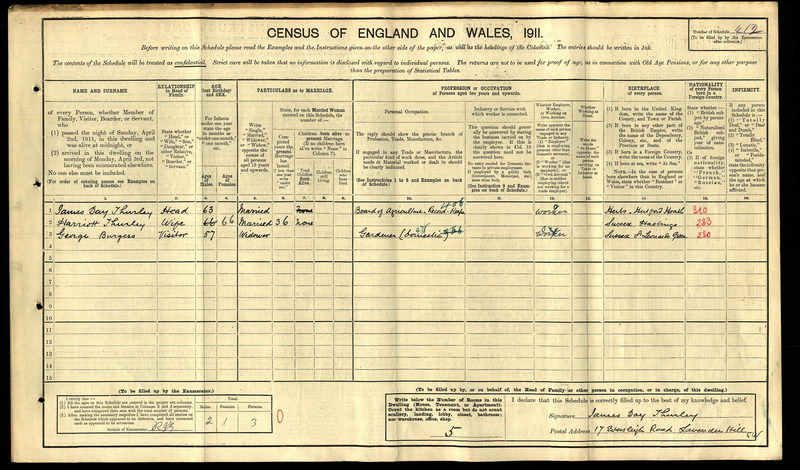 English Census 1861 He appeared as the Head of the Household in the 1861 English Census in Westminster, St James, MiddlesexBG. Wife She appeared as the wife of James Day Thurley in the 1861 English Census in Westminster, St James, MiddlesexBG. Son James Day Thurley appeared as the son of James Day Thurley in the 1861 English Census in Westminster, St James, MiddlesexBG. Mother-in-law She appeared as the mother-in-law of James Day Thurley in the 1861 English Census in Westminster, St James, MiddlesexBG. Daughter She appeared as the daughter of James Day Thurley in the1861 English Census in Westminster, St James, MiddlesexBG. Son He appeared as the son of James Day Thurley in the 1861 English Census in Westminster, St James, MiddlesexBG.